SCX-4216F comes with a standard memory of 2 MB size. It consumes 19 watts in sleep mode, 85 watts in standby mode, and 350 watts when operating. Both the copier and the printer work at a speed of 16 ppm and share the same value of resolution at 600 x 600 dpi. 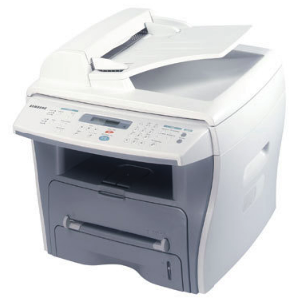 SCX-4216F also offers a scanner and a fax machine. The scanner has an optical resolution of 4800 x 4800 dpi while the fax machine has a transmission speed of 33.6 kbps. The unit is compatible with operating systems Apple Mac OS and MS Windows. It works with interfaces of USB and parallel. When it comes to printer driver installation on Mac OS-based devices, you can rely on the Samsung SCX-4216F Printer Software Installer. The app is a web-based installer that will handle anything to do with the installation of a driver for a printer that is connected to a Mac device at the moment. You can just open the Installer and select the Mac OS icon onscreen. Afterward, you can move on to selecting the mode of installation. Download printer installer package. Open the Samsung SCX-4216F Printer Installer folder. Double-click on the .pkg file. The system will look for software required for the installation. Select software SCX-4216F and driver SCX-4216F to install. Click Next. The system will look for software required for the installation of SCX-4216F. Select software and driver to install. Click Next.